The shift in public attitude toward greater social and environmental concern was reflected in creation of the Geological and Natural History Survey which has “the assignment to assist all segments of society in the important gathering, analysis, storage, and presentation of reliable facts about the state’s resources” (Ostrom, 1983, p. 34). 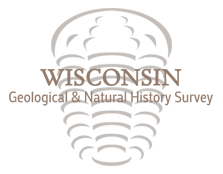 The Geological and Natural History Survey was established principally through the efforts of the Wisconsin Academy of Sciences, Arts and Letters. Under the direction of Dr. Charles R. Van Hise—president of the Academy, chairman of the University of Wisconsin Department of Mineralogy and Geology (1898 to 1903), president of the University of Wisconsin from 1903 to his death in 1918, and a founding member of the Geological Society of America in 1888—a motion was presented to the Academy that a committee be formed to draft a proposal to establish such a survey. In 1893 a bill was drafted by an Academy committee consisting of C.R. Van Hise (Chairman), C.R. Burnes, E A. Birge, G.L. Collie, and A J. Rogers. The bill was recommended to the Legislature in 1894 and finally approved in 1897. The newly created Wisconsin Geological and Natural History Survey (WGNHS) was placed under the authority of a board consisting of the governor, the state superintendent of public instruction, the president of the state university, the president of the commission of fisheries, and the president of the Wisconsin Academy of Sciences, Arts and Letters. Its assignments were to conduct a geological survey of the state (especially iron ores, building stones, and road building materials); study the state’s soils, animal life and fish, and plants (with special emphasis upon trees and conservation); complete the topographic mapping of the state; and prepare educational materials. Van Hise was appointed consultant geologist with the new survey—a position he held until 1903 when he became president of the University of Wisconsin and ex officio president of the Survey’s Governing Board. The Wisconsin Geological and Natural History Survey (WGNHS) has been the most enduring of Wisconsin’s surveys to the extent that it has lasted for 100 years and survived seven directors. During its initial period of growth and expansion—the period from 1897 through 1931 which included the 1929 stock market crash and the shift of the Survey to the University—Dean E.A. Birge, William O. Hotchkiss, and Ernest F. Bean each served separate terms as leader of the Survey. Birge guided the WGNHS during its infancy and, with his cohort Chancey Juday, continued pioneering work in lake biology begun in 1894. This work led to the development of the science of limnology, a word that first appeared in 1895. Under his influence, new WGNHS programs were developed in water powers and underground and surface water supplies (1905), road materials and highway surveying (1907), soil surveying (1909), and topographic mapping (1911), in addition to its programs in building stones, geology, geography, lake survey and biology, and forestry and biology. Birge served the Survey as superintendent from 1897 to 1900 and as director and superintendent from 1900 to 1919. In 1919 Birge resigned to become president of the University of Wisconsin and William O. Hotchkiss was appointed his successor. A Wisconsin native, Hotchkiss earned bachelor, master, and doctorate degrees at the University of Wisconsin in science and engineering, completing the Ph.D. in 1916. His early professional work beginning in 1902 was in minerals exploration in Minnesota and in Ontario, Canada. He began work with the WGNHS in 1906 and was placed in charge of economic geology. In 1909 he was appointed state geologist under Birge. When Birge left to become president of the University in 1919, leadership responsibilities in the Survey were consolidated and Hotchkiss became state geologist, director, and superintendent. During Hotchkiss’ tenure, the work of the Survey’s Highway Division begun in 1907 to carry on experimental and advisory projects in relation to highways and bridges led to creation of the State Highway Commission in 1911. 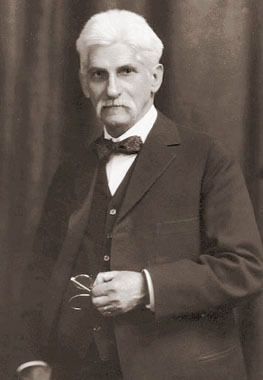 Hotchkiss was the author of numerous Survey publications including Rural Highways of Wisconsin, Limestone Road Materials of Wisconsin, and Geological and Road Map of Wisconsin. He also served on many state and federal committees and was a member of many geological societies and president of the Association of American State Geologists. Hotchkiss (1925, p. 12) stressed the adage that “a problem clearly perceived and stated is half solved.” In Hotchkiss’ view, Wisconsin’s greatest resource is its people; its other resources of soils, minerals, forests, climate, and water power are the materials for improving and maintaining a high quality of life (Hotchkiss, 1924, p. 4). He understood the separate but related roles of industry and academia and emphasized the need for industry and the University to work together to identify and clearly define problems and to resolve them. His philosophy carried over into the planning and conduct of WGNHS programs, which reflected the needs of government, industry and the general public. Hotchkiss resigned in 1925 to accept the position of president of the Michigan School of Mines. 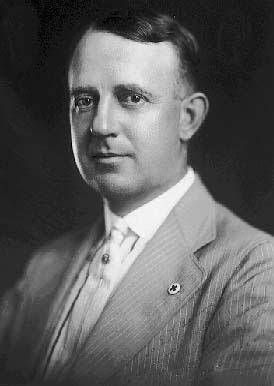 Ernest F. Bean succeeded Hotchkiss. He was appointed acting state geologist, director and superintendent in 1925 and to full responsibility in 1926. Bean earned a B.A. degree from the University of Wisconsin in 1909 and an M.A. degree in 1911. From 1911 to 1915 he taught courses in regional and physical geography and economic geography. For two summers Bean was a member of an Alaskan glacial expedition organized by the National Geographic Society. He began work with the WGNHS in the summer of 1909. In 1913 he was placed in charge of the Survey’s field parties, which conducted geologic field reconnaissance and magnetic surveys on a township basis for mineral land classification in northern Wisconsin. In 1919 he was appointed assistant state geologist by Hotchkiss and continued his work with the mineral land classification program. In addition, in cooperation with the Highway Department, Bean developed a Road Materials Survey program to locate aggregate and other materials for highway construction. Bean endeared himself to students, faculty, and industry because of his warmth and sincerity. He retired in 1952 after 26 years with the Survey, the longest tenure of any of Wisconsin’s state geologists. Bean assumed leadership of the Survey at a time of increasing budgets and responsibilities. Through no fault of his own, and no thanks to the Great Depression and attendant political turmoil, he presided over the only significant budget and program cut in the Geological and Natural History Survey’s history. These cuts, which reduced the Survey’s budget from $99,485 in 1928 to $7,500 by 1935, seriously damaged the Survey’s capabilities and the production of information needed by both the state and federal governments, as well as the private sector, during the critical years of World War II. In the pre-1931 period the Survey’s broad responsibilities were clearly defined and incorporated under the headings of geological survey (which included water resources investigation), mineral land classification, mine valuation, lead and zinc district, natural history, soil survey, and highways (up to 1911). In this period the Survey’s budget allocation grew from $8,550 to $99,485 and its permanent full-time staff from 6 to as many as 32. The principal achievements of this period are indicated by the Survey’s publications. They included completion of detailed geological surveys for a large area of central and northwestern Wisconsin and publication of results in over 90 reports and maps. The Depression that followed the stock market crash of 1929 led to a severe belt-tightening in Wisconsin through executive and legislative evaluations of various state agencies. The WGNHS came under special scrutiny of Governor Robert M. LaFollette, Jr. In spite of advice to the contrary, the governor proposed that the Survey be transferred to the University of Wisconsin, that its budget appropriation be eliminated and that responsibility for funding be with the University. University of Wisconsin president Glenn Frank, Dr. E.A. Birge, former survey director, Prof. C.K. Leith, head of the geology department, E.F. Bean, Director of the Survey, and Dean Chris L. Christiansen of the College of Agriculture all strongly urged that the Survey’s budget be appropriated; but the governor contended that the fund would be an unnecessary jackpot for the geology department of the University. In his view the Survey duplicated the work and responsibility of the University of Wisconsin geology department and therefore, the University administration should have responsibility for its budgeting and support. This argument did not recognize the very distinct difference between the teaching function of the geology department and the resource survey, research, inventory, and service functions of the WGNHS. Thus, in 1931, the WGNHS budget appropriation was cut to $10,000 and it was transferred to the University of Wisconsin. Its funding continued to be a line item in the state budget, but the University was given responsibility for survey programs and budgeting. The survey retained an additional $15,000 earmarked for road materials surveys done in cooperation with the State Highway Commission. By fiscal year 1935 the Survey’s annual budget had shrunk to $7,500, reflecting the University’s and the Legislature’s almost complete disregard for the importance of geologic, hydrologic, soils, and mineral information for making decisions and setting policy on issues involving land and water resources and the environment. Professor C.K. Leith’s admonition in 1931 that vetoing the Survey’s appropriation and assigning budget and administrative responsibility to the University would “cause irreparable damage if the work is halted for two years” (Wisconsin State Journal, May 1, 1931) proved to be true. In fact, the Survey was ignored until 1943 when, in the midst of World War II, the critical need for minerals drew focus on the importance of the Survey’s programs. The need for lead and zinc led in 1943 to a doubling of the Survey’s budget to $15,250—its first budget increase since 1927. After 1945 the Survey’s budget and capabilities increased, albeit at an unsteady pace. In 1945 the Survey received appropriations of $15,000 each to resume its work in topographic mapping and soils survey, and in 1946 an appropriation of $15,000 for groundwater research was added. Thus, with the help of various University faculty, Bean succeeded in at least partially restoring the Survey’s capabilities in the areas of geology and mine valuation (1943), soils and topographic mapping (1945), water resources with emphasis on groundwater research (1946), and mineral resources (1949). He managed to increase the Survey’s program and budget from an historic low of under $8,000 (1934–1943), which provided for his salary and approximately $1,000 for secretarial and minor technical help, to more than $82,000. In addition, he made some progress toward restoring the Survey’s pre-1931 programs except for mineral land classification and natural history. The principal publications during Bean’s tenure were a reprinting of the state geologic map at a scale of 1:1,000,000 in 1949 and several cooperative water resources and geology reports published by the U.S. Geological Survey. Bean retired in 1952. 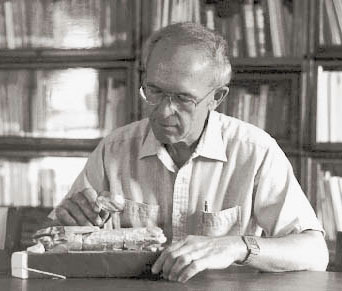 George Fulford Hanson succeeded Bean as state geologist in 1953. Hanson was born in Schenectady, New York. He received his primary education in England and attended Oxford University, where he enrolled in medicine. From 1937–1943 he attended Union College in Schenectady, where he received a Bachelor’s degree. He served as an officer in the U.S. Merchant Marine during World War II, and from 1946–1950 was an instructor at Union College while beginning his graduate training at Harvard. He transferred to graduate school at the University of Wisconsin and completed a Master’s degree in 1952. In 1953, after serving as acting State Geologist for one year, Hanson succeeded Bean. Hanson inherited a Survey with a small staff, restricted quarters, limited budget, and antiquated equipment. Bean had succeeded in gaining the attention of state and University officials to the extent that some of the Survey’s programs had been restarted. Hanson’s task was one of building Survey programs to a viable program level. Under his direction the Survey’s total budget increased nearly fivefold and its staff grew to four full-time geologists, eight part-time geologists/soil scientists, four technicians, and three secretaries plus other federal agency staff employed in cooperative programs. Hanson organized the Survey into survey/research programs in environmental geology, mineral resources, topographic mapping, geologic mapping and stratigraphy, water resources, and soil survey. Each program contained the traditional basic survey activities of data collection and storage, research and analysis, and publication/outreach/service. The need for increased space was met by the Survey’s move in 1966 from University-owned space to non-University owned rental quarters in a converted apartment building. Hanson placed particular emphasis on the basic need for accurate and reliable topographic maps. He was also deeply concerned with groundwater issues, including pollution, effect of withdrawals on availability, and human impact through indiscriminate land use. His concern led to expansion of the Survey’s programs in both of these areas. Under Hanson’s influence and direction, the cooperative topographic mapping program with the U.S. Geological Survey focused on completion of the 1:24,000 scale 7.5-minute series. 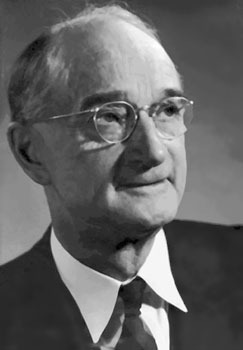 His efforts expanded the program to include the advice and financial support of the Wisconsin Departments of Transportation (1960) and Natural Resources (1974). Under the expanded program the state’s share increased from $15,000 per year to $206,000; this amount was matched by the U.S. Geological Survey for an annual program total of $412,000. The 7.5-minute topographic map series was completed in 1986. The groundwater program, begun at a level of $15,000 per year in 1946 under Bean, grew by small increments under Hanson from $16,500 in 1953 to $34,700 in 1966. Working through the Natural Resources Council of State Agencies, and with the strong support of Senator Clifford Krueger, Chairman of the Senate Natural Resources Committee, Hanson and others were successful in gaining support for passage in 1966 of an annual appropriation of $300,000 for groundwater research and study. The funds were distributed among various agencies with responsibility for water resources; $115,000 was allotted to the Survey. Hanson continued the pattern of growth restarted by Bean and saw the Survey’s budget increase from slightly over $82,000 in 1953 to $365,325 when he retired in 1972. Under his direction the Survey’s programs in geology, soils, and groundwater increased dramatically, and its efforts in topographic mapping were substantially aided by the cooperation and contribution of the Departments of Transportation and Natural Resources. During Hanson’s tenure, over 100 reports and maps were published by the Survey. Chief among these were groundwater and geologic reports published by the U.S. Geological Survey under cooperative programs, and information circulars and bulletins published by the WGNHS. With the restructuring and integration of the statewide University System in 1964, the Survey was transferred from its administrative location in the University of Wisconsin–Madison to the University of Wisconsin–Extension, where it was assigned at a divisional level. The move reflected the perception in the University that the Survey’s mission and programs more closely resembled the outreach activities of UW-Extension than the traditional instructional functions of UW–Madison; however, the Survey retained its research functions. Subsequently, in 1967, the WGNHS lost its divisional status in UW–Extension and was made a department in the Division of Economic and Environmental Development. Following this, WGNHS staff were extended the privilege of inclusion in the University faculty subject to the same requirements as other faculty. Meredith E. “Buzz” Ostrom was appointed director and state geologist to succeed Hanson in July of 1972. Ostrom received his Bachelor’s degree from Augustana College, Rock Island, Illinois in 1952 and his Master’s (1954) and Doctor’s (1959) degrees from the University of Illinois, Urbana, Illinois. 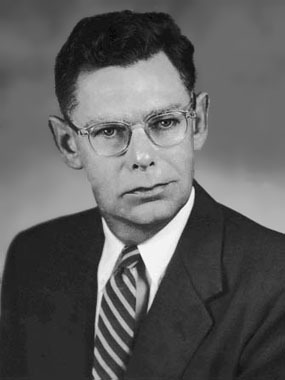 Ostrom worked for the Illinois State Geological Survey beginning in 1953 as a project assistant in Subsurface Geology and in the Coal Section. In 1955 he was appointed as an assistant geologist in the Industrial Minerals Section, where he worked on a variety of subjects including black shales, sandstones, carbonate rocks, and clays. He joined the Wisconsin Geological and Natural History Survey in November 1959 as assistant state geologist with principal responsibility for geology and groundwater. In 1968 he was promoted to associate state geologist and to associate professor in the newly created UW–Extension Department of Geology and Geography. Ostrom was the second of the directors of the Geological and Natural History Survey to have worked for another state survey. His experience with the Illinois Geological Survey provided a basis for viewing the Survey in terms of effectiveness consistent with larger and more extensive operations and programs—that is, operations and programs capable of delivering a broad scope of research, information, and service. Coincident with Ostrom’s tenure was a revival of interest in Wisconsin’s mineral potential, which followed on the heels of several discoveries of substantial base metal mineral deposits in the Precambrian rocks of northern Wisconsin, a continued and growing interest in groundwater issues, a need to maintain a state program in climatology, and a desire to complete the topographic mapping program begun under Hanson. Thus, in response to the renewed mineral interest, Ostrom was successful in 1976 in gaining continuing annual appropriations of $91,000 and $130,000 to conduct geology and mineral programs, respectively. These programs led to the preparation of a series of 1:250,000 scale bedrock geologic maps, the organization of a core/sample repository, and development of a minerals information/assistance program. A 1:100,000 county bedrock geologic mapping program was started in 1980 with the principal purpose of focusing on problem areas identified in the 1:250,000 mapping program. Responding to public concern for groundwater issues in 1977 the Wisconsin Department of Administration reviewed the groundwater programs in the WGNHS and the Wisconsin Department of Natural Resources. These reviews, prompted by legislative concern that the state’s efforts and expenditures for groundwater should be coordinated, led the Department of Administration to require a Memorandum of Agreement on groundwater programs between the two agencies. With completion of the Memorandum in 1979, the Department released a joint annual appropriation to the two agencies of approximately $300,000 for groundwater studies. The Survey’s initial request was for funds for groundwater monitoring research data management and county resource inventories. The program was later expanded to include accelerated county resource inventories incorporating groundwater quality, soils and geologic mapping at a scale of 1:100,000. Principal geologic focus was on Pleistocene geology because these deposits have the most impact on groundwater quality. By 1982 this program received strong county support, including some local funding. In 1974 the federal government decided to discontinue funding support of its state climatologist program. Thus, the office of state climatologist was created in the Survey, with the support of the Wisconsin Natural Resources Council of State Agencies and several departments in the University System. In the beginning funding was provided 50/50 by the National Weather Service and the UW–Extension. When federal funding ceased, the Survey was obliged to redirect some $20,000 from its minerals program to keep the climatology program active. For the first time a state office of climatology was supported solely by the state budget and located in the Survey. The topographic mapping program was completed under Ostrom in 1986 with the advice and strong support of the Topographic Mapping Advisory Committee (composed of representatives from the Departments of Transportation, Natural Resources, and Administration, the State Cartographer, and the UW–Madison Department of Civil Engineering), which he created in 1972. Thus, for the first time Wisconsin achieved complete coverage with one series of topographic maps. Because of the need for periodic updating, the committee expressed concern that the program not be dropped. Their concern was shared by Governor Anthony Earl, who indicated his strong support for a continuing maintenance program. Despite this concern, funding levels for a maintenance program have been severely cut back. The Topographic Mapping Committee under Ostrom also initiated and completed a county topographic map series at the 1:100,000 scale. This county series, begun in 1985 and completed in 1987, is published in the conventional English system. A University of Wisconsin–Extension review of WGNHS programs, budget, administrative location, and facilities, requested in 1983 by Ostrom, led to several recommended changes, some of which were eventually approved and implemented. The Survey’s status was changed from department to a special missions unit in UW–Extension—a designation that more accurately reflected its statutory functions and responsibilities and its program involvements. In addition, in 1985 the Survey moved to improved but still rented quarters. Under Ostrom’s tenure beginning in 1972 the WGNHS base budget grew from $365,325 to more than $1,000,000. The staff has included as many as 10 geologists, 3 part time soil scientists, 4 hydrogeologists, 1.5 climatologists, 0.5 biologists, 3 technicians, 2 computer specialists, 1 editor, 4 cartographers, 1 administrative assistant, and 5 secretaries, plus more than 20 students. The period was marked by publication of a new 1:1,000,000 scale bedrock geologic map, the first 1:500,000 Pleistocene geologic map, and more than 200 maps and reports. 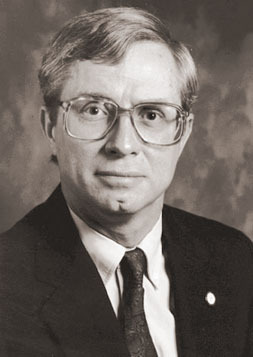 Ostrom retired in 1990, and Assistant Director Ronald G. Hennings served as Acting Director and State Geologist until mid-1991. Juergen Reinhardt took over the position of Director and State Geologist on July 1, 1991. His educational credentials included a bachelor of arts degree in geology from Brown University in 1968 and a doctorate in sedimentology from The Johns Hopkins University in 1973. He came to WGNHS following 16 years at the U.S. Geological Survey in Reston, Virginia, and two years at the Maryland Geological Survey in Baltimore. Reinhardt had planned to continue his research in recent geologic processes (such as coastal erosion and soft-sediment deformation) and their relationship to humans, and to return to his first love in research—the study of Cambrian and Ordovician carbonate rock. His career was cut short by a fatal automobile accident on September 18, 1991. Following Reinhardt’s death, Hennings again served as Acting Director and State Geologist through December 1992. 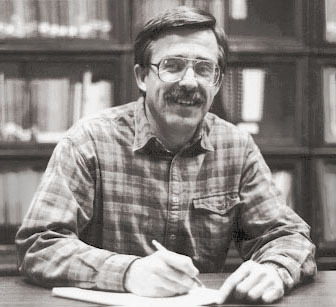 James M. Robertson took over as Director and State Geologist in January 1993. Robertson received his bachelor of arts degree from Carleton College in Minnesota in 1965 and his Ph.D. from the University of Michigan. He specialized in economic geology and completed his dissertation on some of the copper-sulfide deposits in Michigan’s Upper Peninsula. Upon receiving his Ph.D., he spent 1.5 years teaching at Michigan Technological University, where he filled in for a geology professor on sabbatical. After that, he supervised the field checking of Provincial geologic maps in northern Ontario for Hudson Bay Oil and Gas Company. He then took a job at the New Mexico Bureau of Mines; this job evolved over the years from looking for massive sulfides to reconstructing the overall Precambrian geologic history of New Mexico. He also served in the position of Associate Director until he departed New Mexico for Wisconsin. During his 22 years at the Survey, Robertson oversaw the Survey’s transition to the digital age to keep up with changes in the methods of investigation, presentation, and publication in science. Dr. Madeline Gotkowitz served as interim director of the Wisconsin Survey after Robertson’s retirement until Bradbury officially began as Director and State Geologist. Ken Bradbury was appointed Director and State Geologist to succeed James Robertson in 2015. 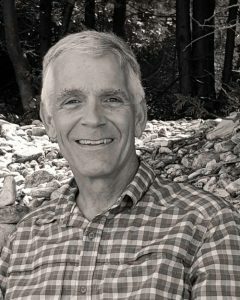 A hydrogeologist with more than 30 years of experience devoted to protecting Wisconsin’s groundwater resources, Bradbury received his undergraduate degree from Ohio Wesleyan University, master’s degree from Indiana University and doctoral degree from UW–Madison. He was assistant director for science at the Survey from 2013 to 2015. Bailey, Sturges W., 1981, editor, The history of geology and geophysics at the University of Wisconsin–Madison, 1848–1980: Department of Geology and Geophysics, University of Wisconsin–Madison, Madison, Wisconsin, 174 p.
Bean, Ernest F., 1937, State geological surveys of Wisconsin: Transactions of the Wisconsin Academy of Sciences, Arts and Letters, volume 30, p. 203–220. Chamberlin, Thomas C., 1878, Annual report of the Wisconsin Geological Survey for the year 1877: David Atwood, printer, Madison, Wisconsin, 93 p.
Daniels, Edward, 1854, First annual report on the geological survey of the State of Wisconsin: David Atwood, printer, Madison, Wisconsin, 84 p. with map. Hotchkiss, W. O., 1924, Some thoughts about the State of Wisconsin, its past and its future: Files of the Geological and Natural History Survey, 8 p.
_________, 1925, The relation between the University and industry: Address before Milwaukee Engineering Society, 14 p.
Lake, James A., 1962, Law and mineral wealth: The legal profile of the Wisconsin mineral industry: University of Wisconsin Press, 219 p.
Ostrom, M. E., 1983, Two centuries of mineral policy in Wisconsin, in International Minerals, a national perspective: American Association for the Advancement of Science Selected Symposium 90, Westview Press, Inc., Boulder, Colorado, p. 21–36. _________, 1984, Edward Daniels and Wisconsin’s first Geological Survey: Wisconsin Geological and Natural History Survey SurView, vol. 5, no. 1, 6 p.
Russell, Harry L., 1940, in Edward A. Birge, Scientist and Teacher: University of Wisconsin Press, Madison, 48 p.